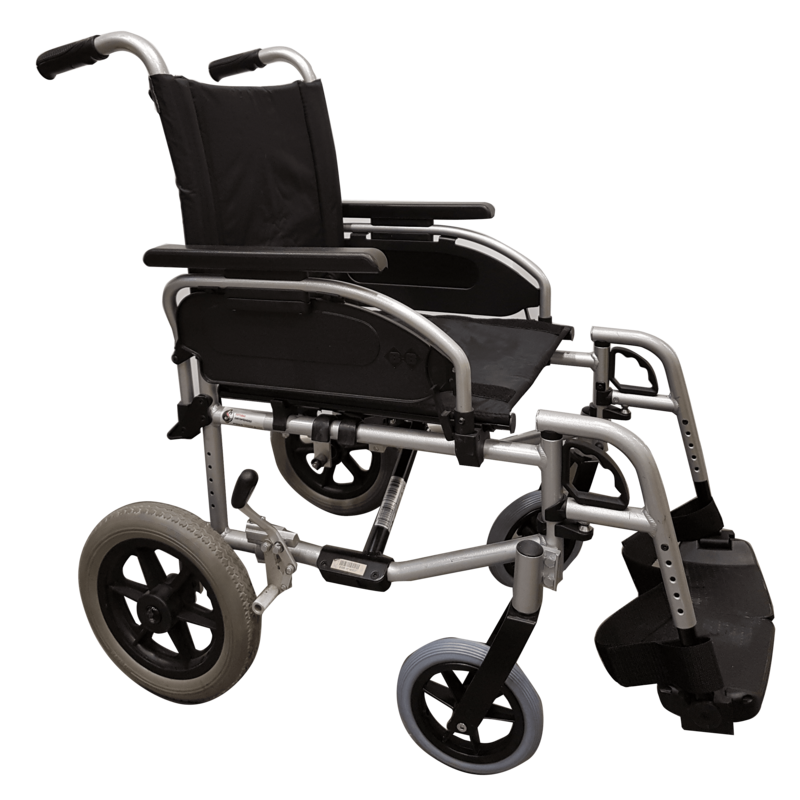 Do You Need a lightweight, lower weight, for users who cannot propel themselves? This is what you are looking for! The rear wheels are solid and have a diameter of 300mm (12″). 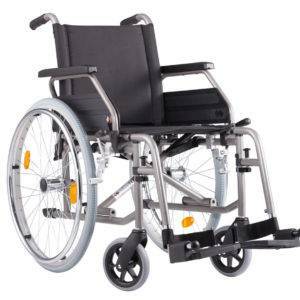 Its aluminum structure gives it a lighter weight than conventional steel chairs, it is less bulky than the big wheel and is something more close to the same width of seat, which facilitates the passage through the doors. Fold down the armrests, adjustable in height. 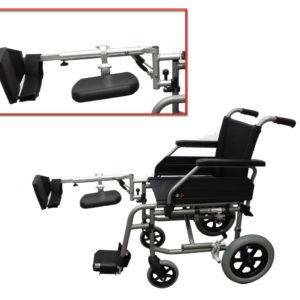 Has Footrest adjustable in hwhich makes it easier to handle and transport. 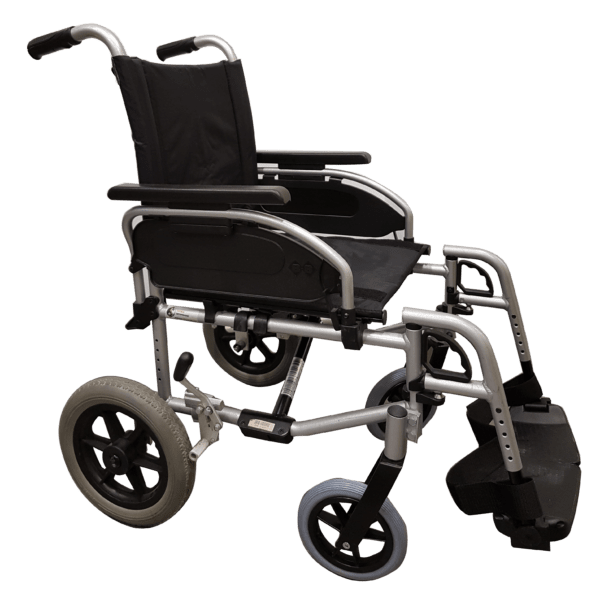 It is ideal for those people who cannot propel themselves , as it is less bulky than the big wheel one , and it is a little bit narrower , having the same seat width , making it easy to step through doors . 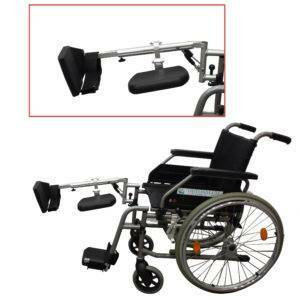 Its armrests are flip-up and adjustable in height . 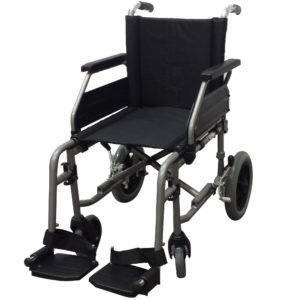 It also has flip-up , adjustable in height and removable footrests . With studs on the back to facilitate the passage of obstacles.